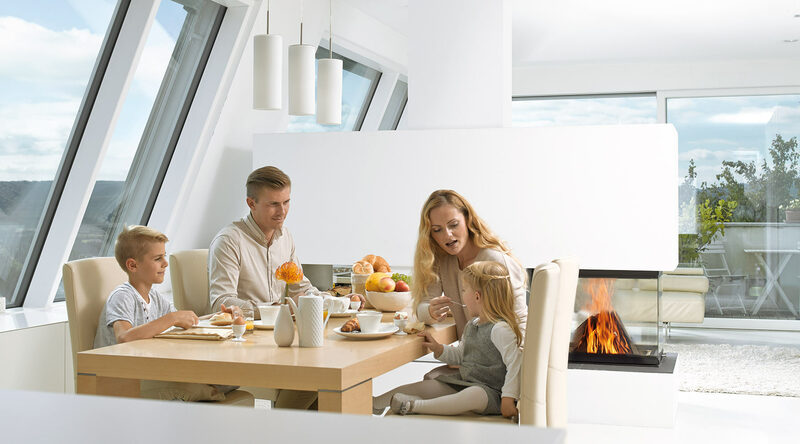 Schiedel Swift Air provides all the benefits of the Schiedel Swift but in addition, neatly and simply delivers combustion air to the heating appliance. 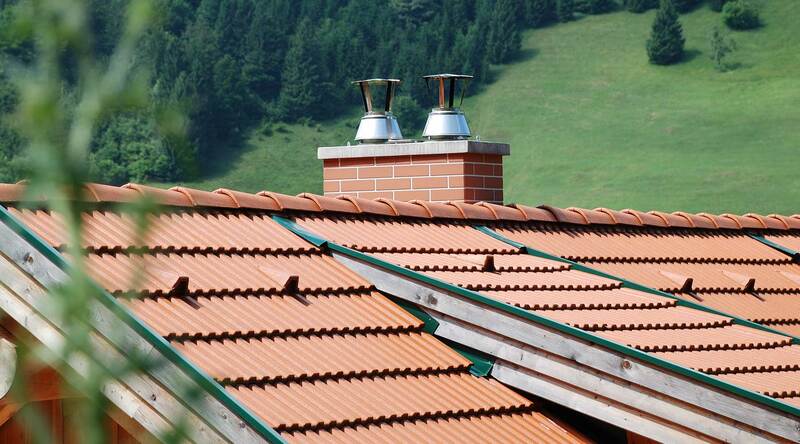 Ideally suited to energy efficient buildings, the Schiedel Air System provides an alternative to underground ducting, eliminating the risk of ‘wind’ effect’ influences on the draft of the chimney. 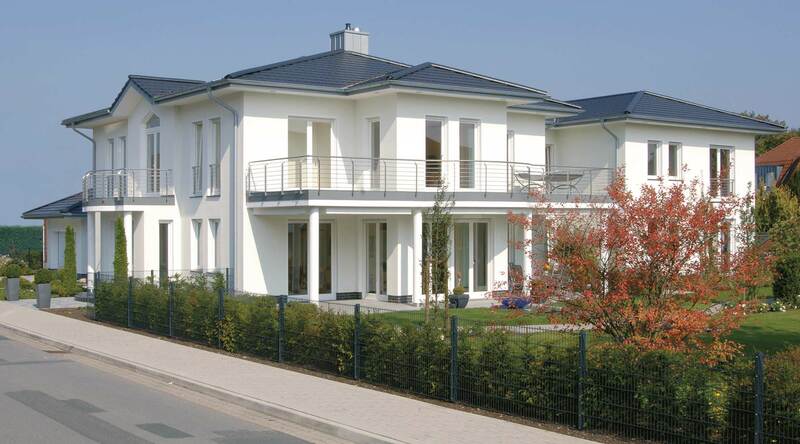 Schiedel recently completed a project to install the Swift Air system within new-build housing at Pipers Hill, a development by the Ballymore Group in County Kildare. 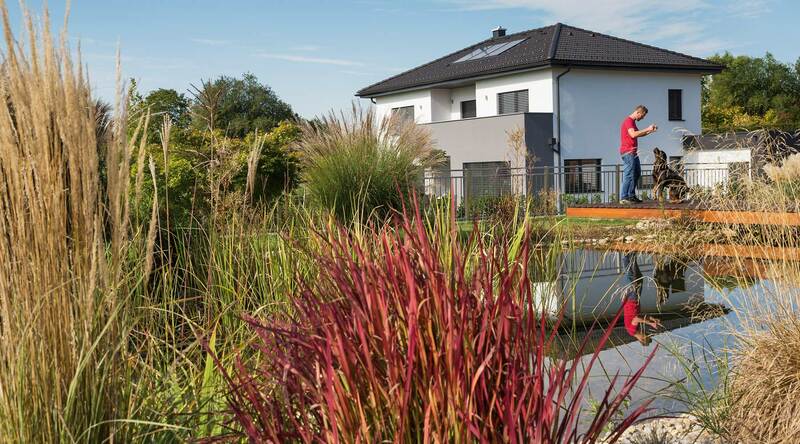 Each home features a wood burning stove alongside energy efficient water boilers and solar panelling, which allows the homeowner to have flexibility in choosing their energy source. Click here to see more information. 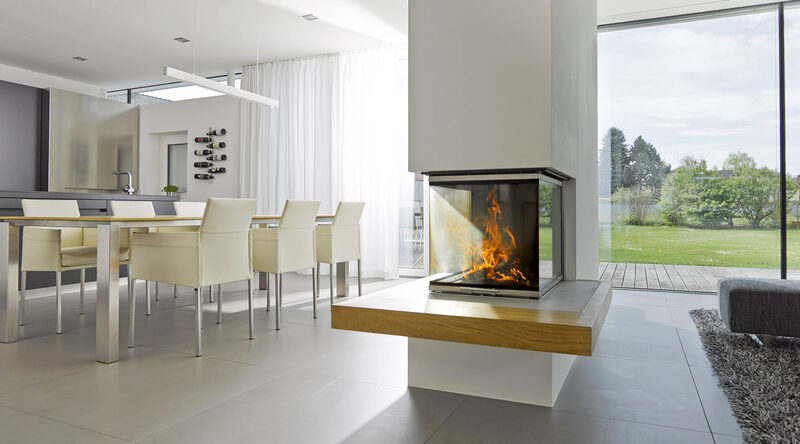 The combination of advanced chimney technology and modern efficient wood burning appliances can give you the best of both worlds – an energy efficient home and the enjoyment of a real fire. 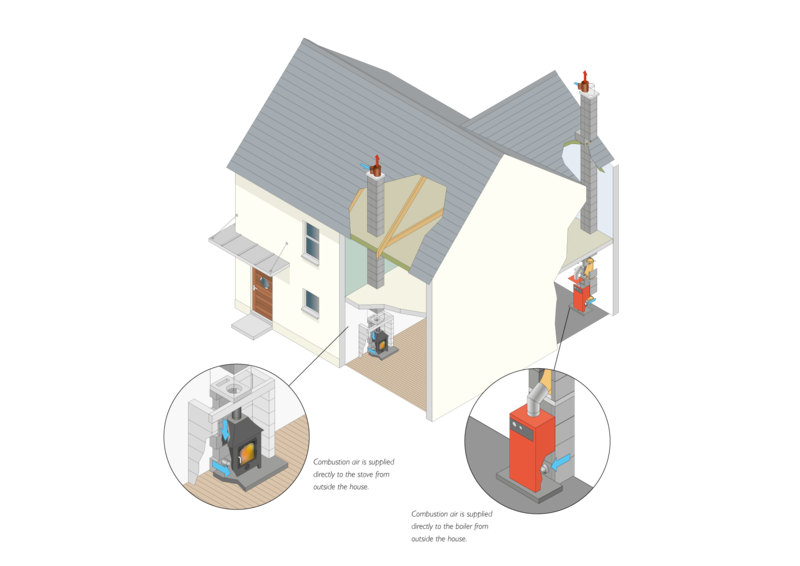 The Swift Air System delivers combustion air directly to the appliance from outside the house, eliminating drafts in the living room thus further improving energy efficiency. 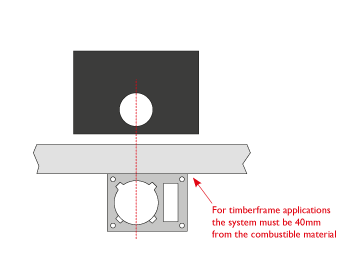 No warm air is taken from the room where the appliance is positioned. 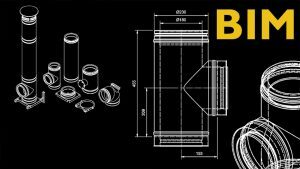 Suitable for stoves, stove inserts, cookers and boilers. Suitable for Timber Frame, Steel Frame and Masonry construction. 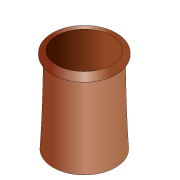 Air-independent chimneys reduce the wind effect on the air intake. 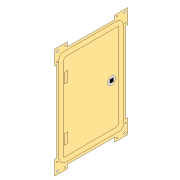 Provisions for additional air intake channels / ducting are no longer necessary. 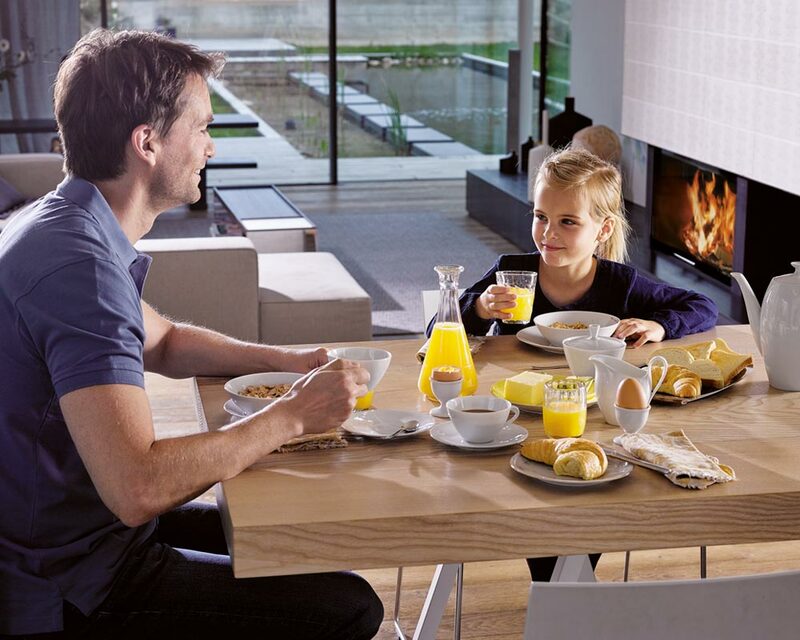 The Schiedel Air System is a specially designed balanced flue that connects a Room Sealed Appliance to fresh air and enables combustion gases to escape safely. 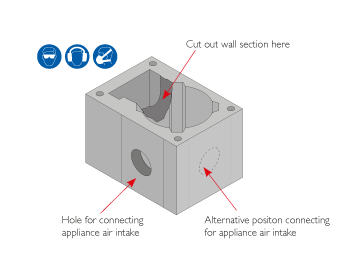 Therefore, in the majority of installations there is no need for air vents to be provided for the appliance. 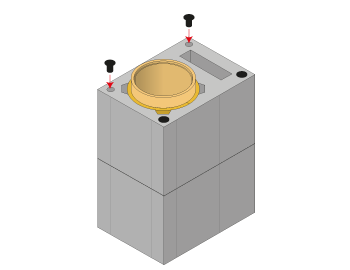 The recess height and width are open to personal choice depending on the size of the heating appliance. 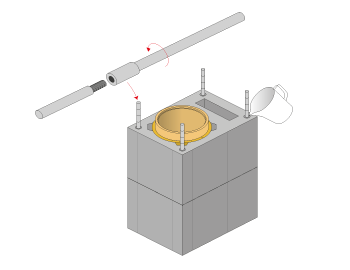 The components provided allows for an opening of H1200mm x W900mm. 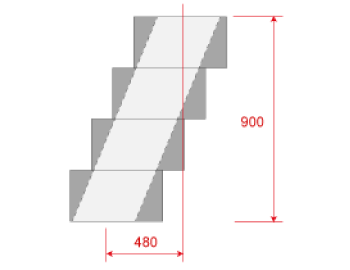 If a wider opening is required you will need to source a longer lintel which must be certified to span the width of the recess and support 2,100kg. 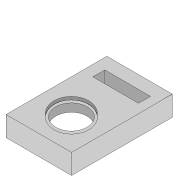 An additional lintel may be added to make the recess deeper as required. 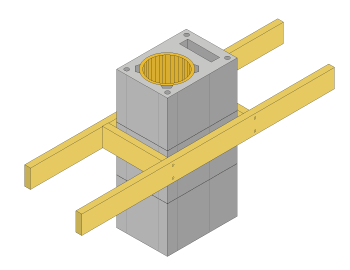 Build up the Air Block, (HP3), in line with standard block, alternating on each row to ensure the block will ‘tie in’ and form a staggered joint. 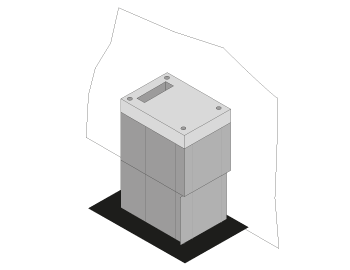 Ensure the joints are completely sealed and the air cavity is kept clear of access mortar.Once the desired height is reached add the lintel to the front of the recess. 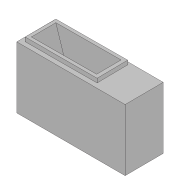 If necessary cut the top air block to sit level with top of the lintel. 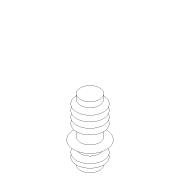 Complete the top course to the same height. Lay a bed of mortar on lintel and air block. 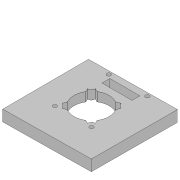 Place starter block on top of lintel and back wall, align the rectangular hole to the back so it matches with hole in the air block. 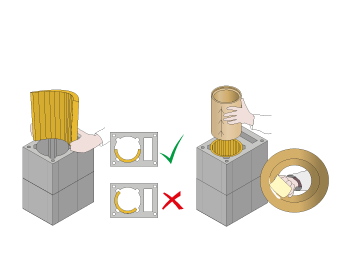 Ensure that the joint between the air block and the support block is sealed with mortar. 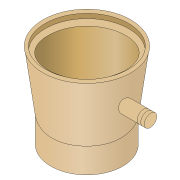 Run a bead of high temperature cement around the flue aperture on the support block.Place the first chimney block on the support block. 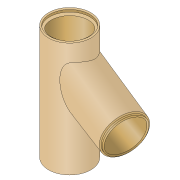 Wipe away any excess and mortar, particularly in the air chamber as you do not want to restrict the flow of air. 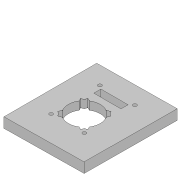 There is no bend kit available for the Schiedel Air System however, an offset can be obtained by using the HP5 block within the stove recess. 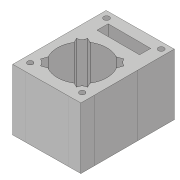 Each HP5 block has an offset of 120mm. 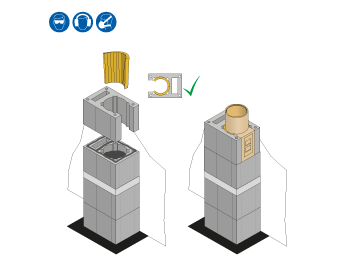 With a Free Standing stove, the chimney will not be positioned above the appliance. It is then necessary to provide a cleaning access and debris removal area. 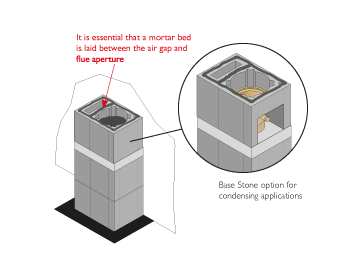 If it is a condensing appliance, a base stone can be used to collect the condensate. 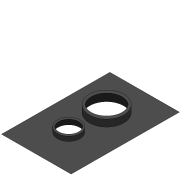 Provision should be made for the proper disposal of condensate. 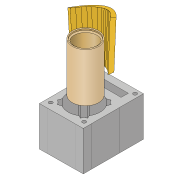 Core drill a suitable diameter hole in accordance with the appliance manufacturer’s instructions. 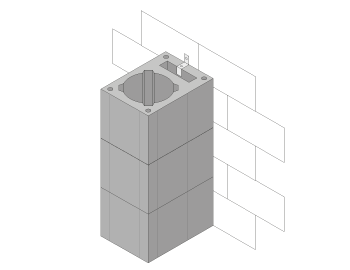 Cut out a section of wall between the air gap and the flue section in the first block no smaller than the crosssectional area of the air channel. 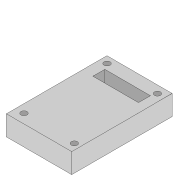 This allows the air intake to be placed at front or side of the block. 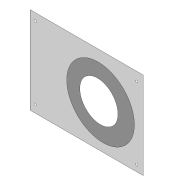 Ensure the exhaust outlet of the appliance is aligned with the junction pipe of the chimney. Lay a damp proof course. 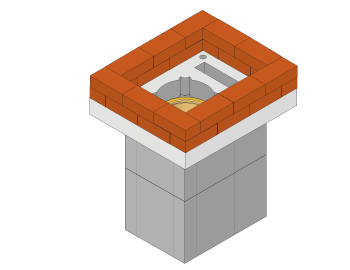 Lay a bed of mortar and place the chimney block with the removed section into desired position. 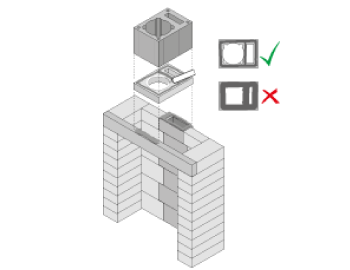 Add the required number of additional chimney blocks (refer to table on page 25) depending on how high the connecting tee needs to be to suit your appliance.Place the universal starter block on a bed of mortar on top of this chimney block. 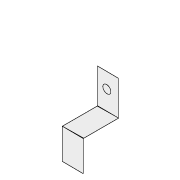 Line up the air gap in the block with the air gap in the support block. 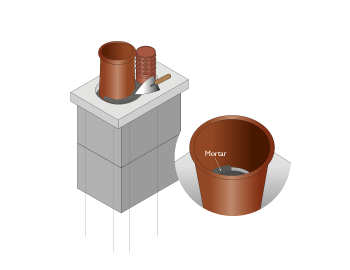 Apply a bed of mortar to the top of the universal starter block and place another chimney block. 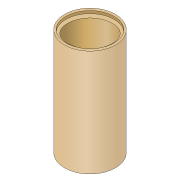 Fill in the bottom half of the chimney shaft with mortar so as to allow for the inspection pipe to sit into. This will mean only having to cut one chimney block to accomodate the inspection pipe. 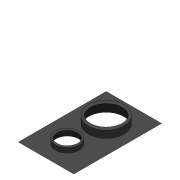 For condensing appliances you will need to use a base stone in place of the mortar to allow for the condensate to be drained off and disposed of. 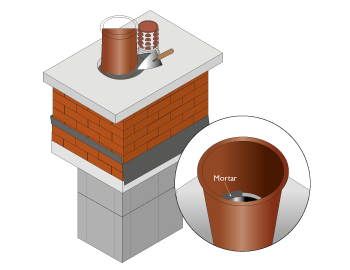 Place the next cut chimney block on a bed of mortar. 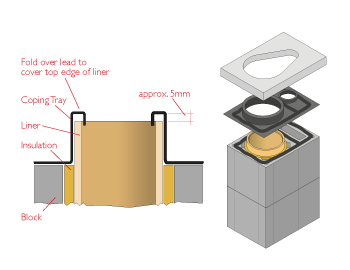 (A cardboard cutting template is supplied on the front of the inspection door)It is essential that a mortar bed is laid between the air gap and flue aperture. bend the insulation around the inside of the chimney block. 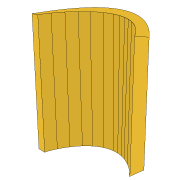 Once fitted, cut the insulation along the ventilation channel. 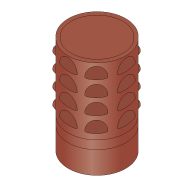 Put a bead of high temperature cement around the bottom rebate of the inspection pipe, place it in the chimney block (socket uppermost). 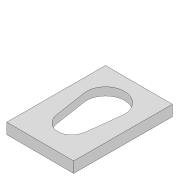 Bend and place the insulation around the inside of the cut block and cut along the ventilation channel. 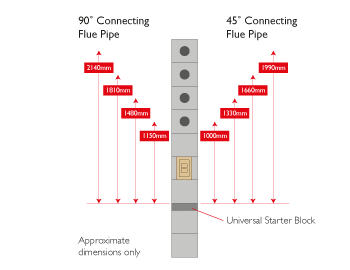 Apply high temperature cement to the socket end of junction pipe and place into block. 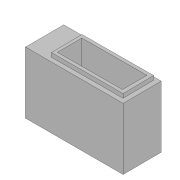 Add a standard block on a bed of mortar. 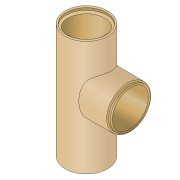 Fit insulation around the junction pipe. 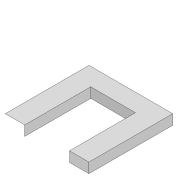 Bend the two pieces of insulation into the block. 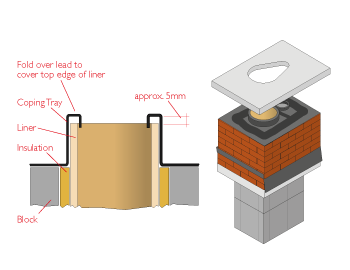 It is important the insulation is fitted as inset illustration to avoid the insulation going into the moulded recess within the chimney block.Place the flue liner into the chimney block, with the female rebate facing upwards. 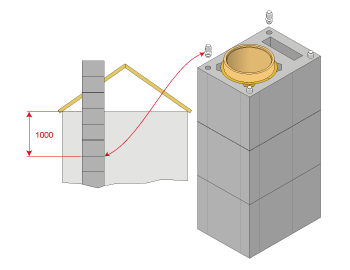 Arrows on each flue liner indicate the directional flow of flue gases. Continue to apply high temperature cement to each flue liner, cleaning any access material from the joints. 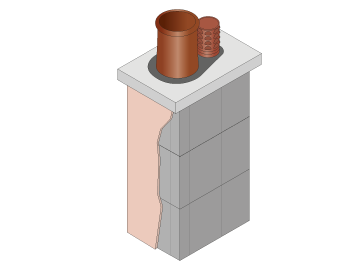 The chimney blocks should be tied every metre to a structural wall with the supplied masonry/steel frame ties. 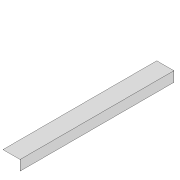 Standard timber frame ties should be used in timber frame construction. 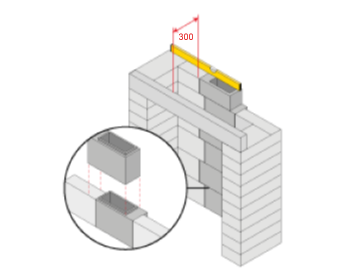 Where the chimney passes through floor or ceiling joists, these need to be trimmed out leaving a gap of 40mm for timber and 30mm for concrete. This gap is then filled with non-combustible material. 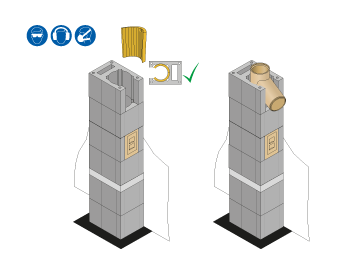 Continue to build the chimney as a single block to the stack. 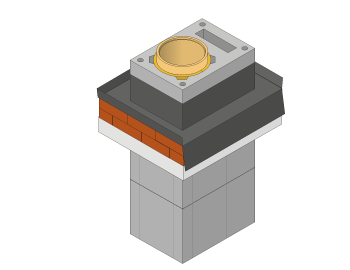 Special plastic connectors are inserted in all 4 corners of the chimney block to provide stability against wind loading. These should be used from a point 1 metre below the last point of lateral support. 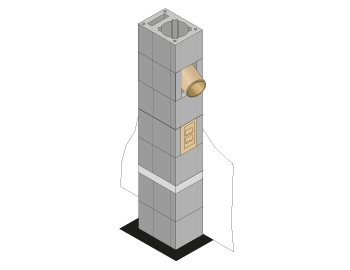 Reinforcement bars should be used instead of the plastic connectors for chimney stacks over 1.2m high. 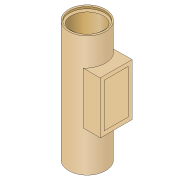 A corbel is required for brick or block cladding. This give a stack of 790mm x 680mm (3 bricks by 3.5 bricks). 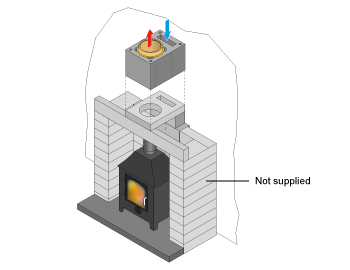 In an A rated house the combustion air required for wood burning appliance like a stove burning logs or wood pellets must be supplied directly to the stove from outside the house.These appliances are called room sealed as they are manufactured not to take air from the room.The Schiedel Swift Air provides all the benefits of the Schiedel Swift and in addition neatly and simply delivers the external air to the stove. 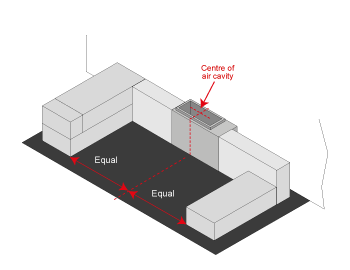 The alternative to Schiedel Swift Air is low level or under floor ducting ideally with air supplies from opposite sides of the house. 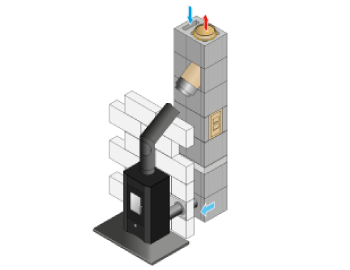 The Schiedel Swift Air solution avoids this by ducting the air through an external air shaft in the chimney. Available in 150mm, 180mm and 200mm internal flue diameters. 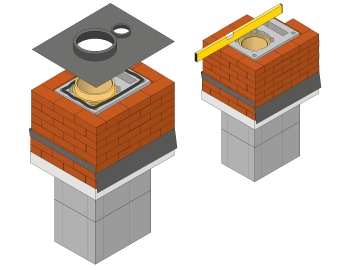 The size of the chimney block is the same for each flue diameter – 500mm x 360mm x 330mm high. The heated air circulates within the house. 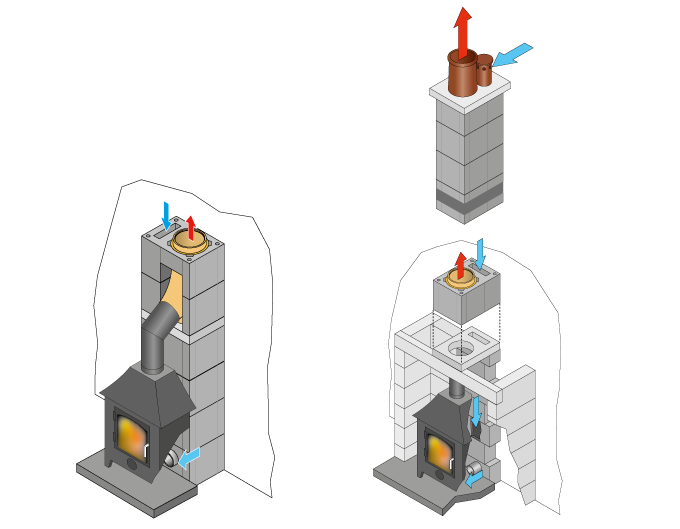 The stove and the boiler do not take air from inside the house so no warm air is lost through the chimneys. 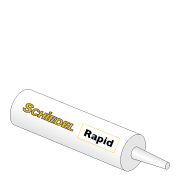 – Schiedel, enabling energy efficiency.